Like fire above them, like fire through the frozen pine-trees. Going home to my heart (the folly of it! ), going home to my heart! 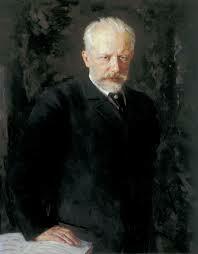 Pyotr Ilyich Tchaikovsky (1840-1893) is a singular composer in music history. Blessed with the uncanny ability to create unforgettable melodies with an irresistible emotional sweep, he singlehandedly not only transformed the world of ballet, he can be said to have created the Russian symphonic form as well, differentiating the latter from the more rigid European model of his day. As Tchaikovsky paid tribute to his idol Mozart in his Orchestral Suite No. 4 in G Major, Mozartiana, so this site (or "suite," if you will), exists to pay tribute to Tchaikovsky, his life and his music. Topics will be at random; timely events and anniversaries, controversies, his relationships with people in his life and, of course, the monumental music without which the world would be a poorer place indeed.